Researchers at Lund University in Sweden have for the first time shown where in the brain the earliest signs of Alzheimer's occur. The discovery could potentially become significant to future Alzheimer's research while contributing to improved diagnostics. "A big piece of the puzzle in Alzheimer's research is now falling into place. "We did not know where in the brain the earliest stages of the disease could be detected. We now know which parts of the brain are to be studied to eventually explain why the disease occurs." Researchers at Lund University in Sweden have for the first time convincingly shown where in the brain the earliest signs of Alzheimer's occur. In Alzheimer's, the initial changes in the brain occur through retention of the protein, β-amyloid (beta-amyloid). The process begins 10-20 years before the first symptoms become noticeable in the patient. In Nature Communications, a research team headed by Professor Oskar Hansson at Lund University has now presented results showing where in the brain the initial accumulation of β-amyloid occurs. It is in the inner parts of the brain, within one of the brain's most important functional networks - known as the default mode network. "A big piece of the puzzle in Alzheimer's research is now falling into place. We previously did not know where in the brain the earliest stages of the disease could be detected. We now know which parts of the brain are to be studied to eventually explain why the disease occurs", says Sebastian Palmqvist, associate professor at Lund University and physician at Skåne University Hospital. The default mode network is one of several networks, each of which has a different function in the brain. It is most active when we are in an awake quiescent state without interacting with the outside world, for example, when daydreaming. 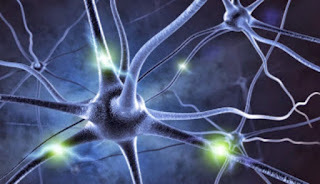 The network belongs to the more advanced part of the brain. Among other things, it processes and links information from lower systems. The study, conducted in collaboration with Michael Schöll, associate senior lecturer at the University of Gothenburg, and William Jagust, professor at the University of California, is based on data from more than 400 people in the United States who have an increased risk of developing Alzheimer's, and about as many participants from the Swedish research project, BioFINDER. The brain status of all the participants was monitored for two years, and compared to a control group without any signs of Alzheimer's. The difficulty of determining which individuals are at risk of developing dementia later in life, in order to subsequently monitor them in research studies, has been an obstacle in the research world. The research team at Lund University has therefore developed a unique method to identify, at an early stage, which individuals begin to accumulate β-amyloid and are at risk. The method combines cerebrospinal fluid test results with PET scan brain imaging. This provides valuable information about the brain's tendency to accumulate β-amyloid. "Now that we know where Alzheimer's disease begins, we can improve the diagnostics by focusing more clearly on these parts of the brain, for example in medical imaging examinations with a PET camera", says Oskar Hansson, professor at Lund University, and medical consultant at Skåne University Hospital. Although the first symptoms of Alzheimer's become noticeable to others much later, the current study shows that the brain's communication activity changes in connection with the early retention of β-amyloid. How, and with what consequences, will be examined by the research team in further studies. The current study was funded by the European Research Council (ERC), the Swedish Research Council (VR), the Swedish Alzheimer's Foundation and Region of Skåne (through ALF funding).